Gavel-to-gavel coverage of the Town's most important governing body, held twice each year at the Lawrence School's Memorial Auditorium. The Board of Selectmen is the chief executive and policy making body of the Town of Falmouth. The Planning Board studies and makes recommendations on the long term growth of the Town. The Planning Board also reviews site plans and special permits under the zoning bylaw and subdivision plans under the Subdivision Control Law. The mission of the Falmouth Conservation Commission is to implement the goals of the Massachusetts Wetlands Protection Act (CMR 10.00) and the Falmouth Wetlands Regulations (Code of Falmouth ch. 235). The Commission serves to protect and conserve the plants, animals, and natural communities that are dependent upon the wetlands resources of the Town of Falmouth. The Board hears and decides four types of petitions in a reasonable, objective, honest manner in the best interest of the Town: Special Permits, Variances, Appeals, and Comprehensive Permits (40B). Committee is tasked with guiding and advancing solutions to the water quality issues that affect the Town's watersheds. The Town has submitted to the DEP and MEPA a plan to address the nitrogen loadings into the watersheds that are impacting the south coastal estuaries. A diverse group of local citizens gathered by the Board of the Selectmen and assisted by the Consensus Building Institute to develop a list of options for solving the conflicts involving the Town's wind turbines. 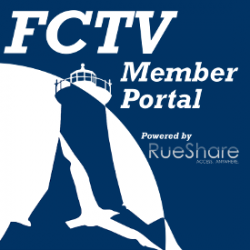 In addition to the meetings shown above, FCTV Government features many locally produced programs about and featuring out public servants and elected officials.